High quality outdoor activities designed to inspire, challenge and bring out the best in young people. Our aim is to ensure that every school that visits us wants to come back again. 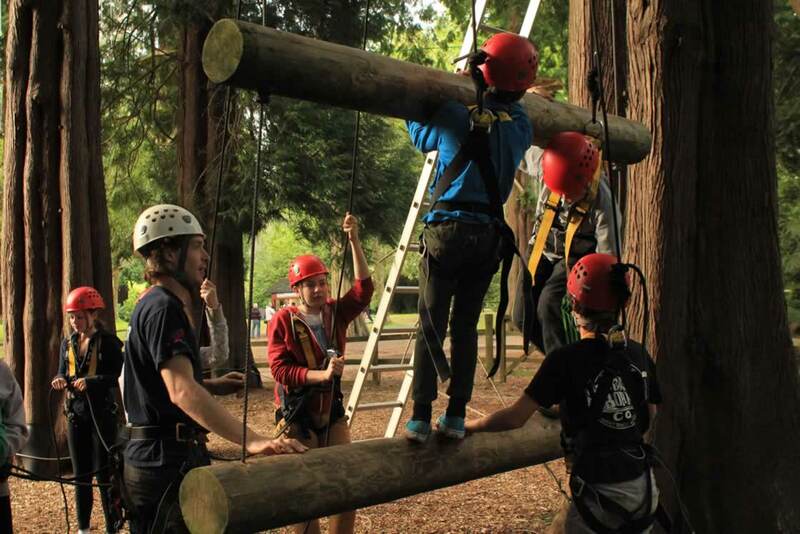 We strive to provide unique learning experiences by delivering high quality outdoor activities designed to inspire, challenge and bring out the best in young people. We know that whilst your students are focusing on the excitement of adventure, you will be looking at what they will learn and take away from their visit. The activities we provide develop self-esteem, peer support, confidence and positive attitudes that students will take back to the classroom and their everyday lives. 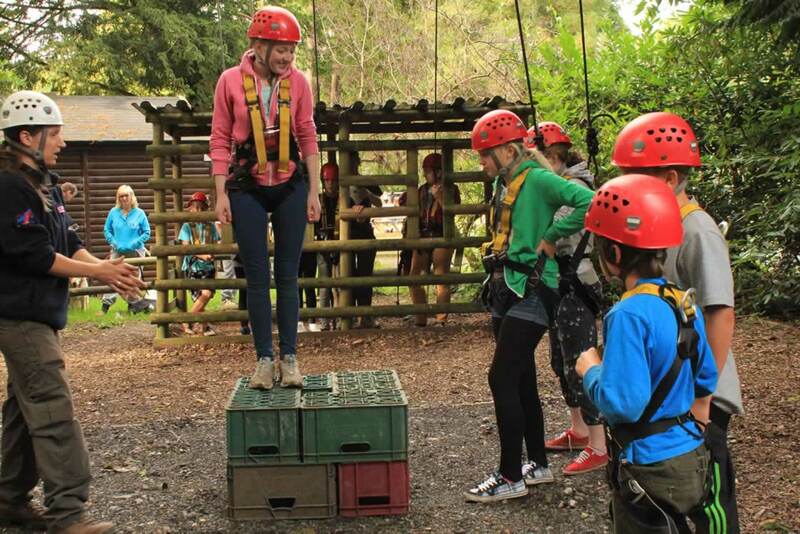 We devise a unique activity programme for each group, and will consult closely with the group leader on what they want to achieve from their visit. CRS Adventures hold the Learning Outside the Classroom Quality Badge. This indicates we have passed a robust assessment designed to ensure that we are meeting schools’ learning and risk management needs, no matter what activities are provided. We operate all year round and offer a wide range of packages to suit the requirements of individual groups. 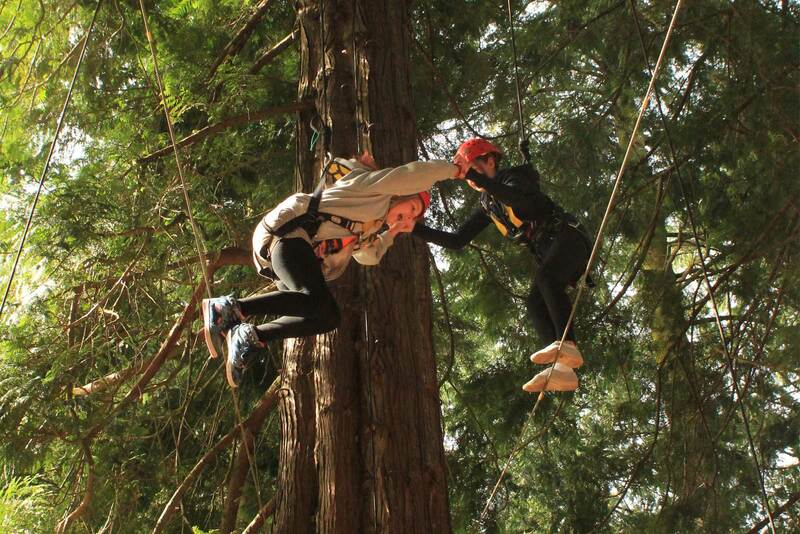 Our hugely popular 21 platform high ropes course is the ultimate treetop activity! Set at a dizzying height in some of the tallest trees in the River Dart Country Park. The course is fitted with the latest ®Speedrunner continuous safety system technology, and is guaranteed to give you an adrenaline buzz! Together with the rest of their team the participants construct a tower of crates while standing on top of the tower, all within a time constraint. They are secured with ropes as they ascend and the tower eventually collapses with the help of their instructor once their time is up! This activity favours those who played with Lego as children! Not quite of Biblical proportions but with the help of their team participants need to climb a large ‘ladder’ made of wire and telegraph poles suspended between two trees. This tests not only their physical strength but also their agility and teamwork. 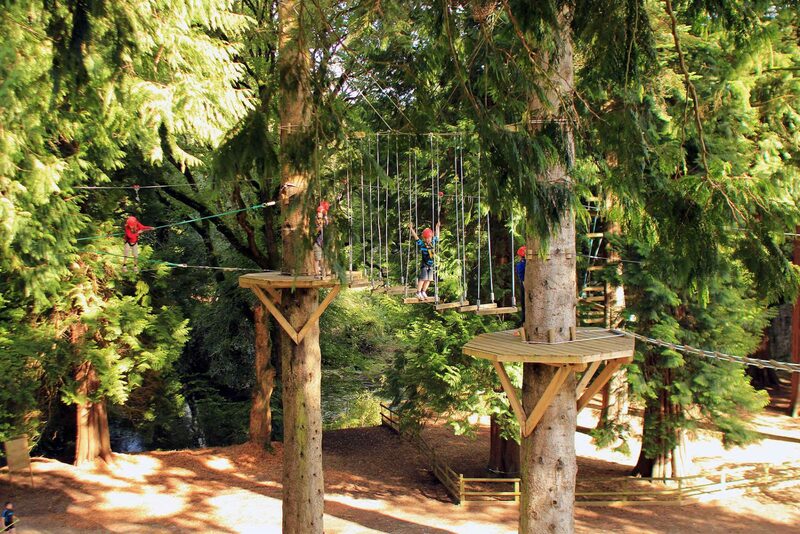 A zip wire needs little introduction, climb the steps to high up in a tree before you fly over a lake to the far bank, over eighty feet away! Going up the ladder your participants’ legs will be trembling but once they are back on the ground they will be running back for another go! 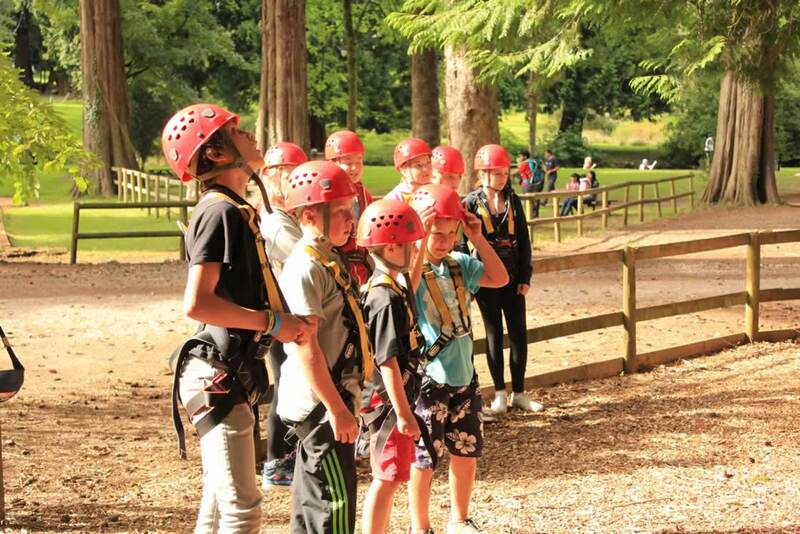 This is another of our treetop favourites, participants walk along horizontal telegraph poles set high up in the trees. The key word in the last sentence is definitely ‘high’ but they will be secured by a rope and harness controlled by the rest of their group! If you thought the balance beams were high then this vertigo challenging activity will have participants walking along a wire leaning on their partner until they both fall. Those that are good at this activity can, with a trusting partner, be almost horizontal before they are forced to let go and be lowered to the ground. Five minutes away from us is Pridhamsleigh Caverns. It is approximately 1.1 kilometres in length with a total depth of just over 50 m including Prid II. 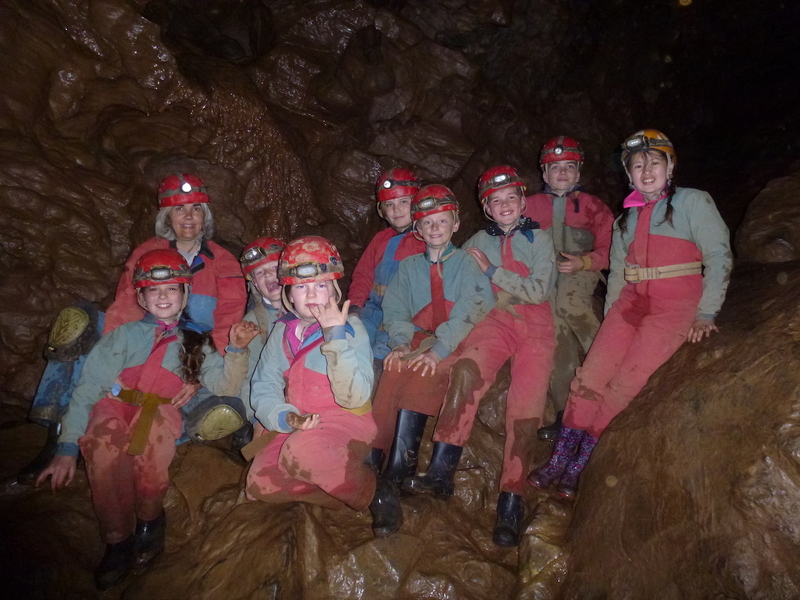 Pridhamsleigh is a great site for novice cavers. It has a large variety of passages which lends itself to longer explorations. Due to the nature of the connecting and non connecting overlapping passages in the cave, surveys (maps) of the cave are hard to interpret. The cave contains ‘The Lake’, a large elongated pool, which has been dived to discover a second chamber, with no passages leading off it. This chamber is the biggest in Devon and is named Gerry’s Chamber after its discoverer, the late Gerry Pritchard. Perfect for your first caving experience, the activity is suitable for anyone with sufficient mobility. Those of you with a pre-conception of caving as being small tunnels and tight squeezes will be blown away by the caving in South Devon, particularly the church sized Bishop’s Chamber, but if you do like a squeeze then we can always find you a challenge! Dartmoor is a wonderful place for groups to try climbing. Many of the granite tors scattered across Dartmoor offer a range of routes, including some challenging ones but we also offer various opportunities for learning the basic skills of climbing. 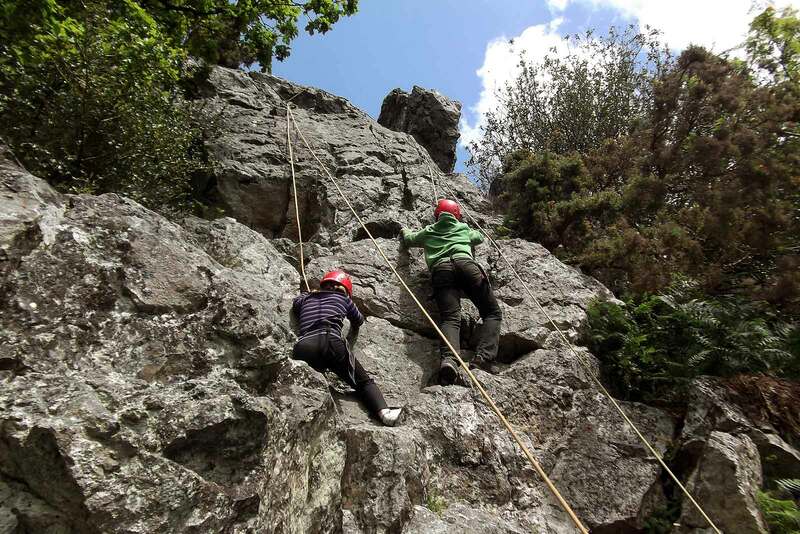 Due to our location on the edge of Dartmoor we are spoilt for choice with several popular rock climbing locations all within half an hour’s drive. For introductory climbing sessions we tend to use Leigh Tor, Dewerstone or Chudleigh. Being based at River Dart Country Park means we have use of the sheltered lakes within the extensive grounds. These are absolutely perfect for a first canoeing/kayaking experience or for building an elementary skills base. We have a modern fleet of open canoes based on the traditional ‘Red Indian’ design and sit on kayaks and provide all the specialist equipment. For Educational Activities please see winter programme page. In addition to these exciting activities we also offer a range of team building exercises to get the very best out of your day.